Plea for the Sea is diving into an exciting new campaign to promote responsible exploration of our oceans. 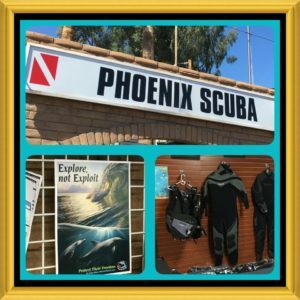 “Explore, Not Exploit” is focused on the fun and powerful experiences that are possible through diving and SCUBA training. 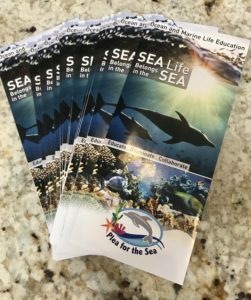 Plea for the Sea believes diving is an ethical, family-friendly way to appreciate dolphins and their world without supporting the captivity industry. That’s why we reached out to diving professionals to partner with us on a positive message to get people excited about recreational diving as an animal-friendly way to experience the ocean first-hand. 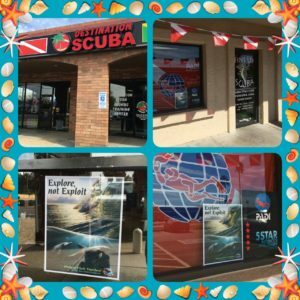 We are happy to be working with the Arizona dive community through this new public poster campaign. 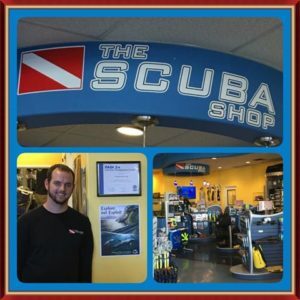 So far, four local dive shops have agreed to display our poster proudly in their windows in a show of support, and help us encourage dolphin and ocean lovers to explore without exploitation. Please stay tuned for ongoing updates and new photos. 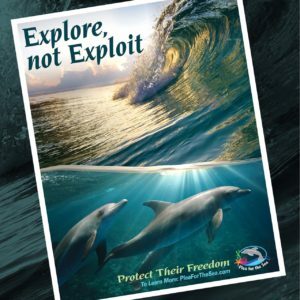 In December 2016, a few of our Plea for the Sea team members collaborated with dolphin activism powerhouse The Dolphin Project to bring a unique poster campaign to fruition. The goal is to reach new audiences with the anti-captivity message. Our poster was designed with specific ideas in mind. 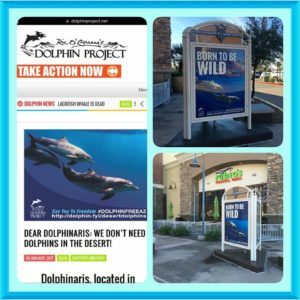 We wanted to be bold, and showcase dolphins where they belong– in the ocean– and most of all, encourage anyone who might have been considering patronizing a swim-with-dolphins attraction to think twice about the animals. After all, if you truly love dolphins, we say… don’t swim with them. Respect them enough to demand they be protected in their ocean home. Our collaborative mall PSA campaign was released right after Christmas in three shopping malls with high pedestrian foot traffic. You can find our “Born to Be Wild” posters at the Town & Country shopping center in central Phoenix; Crossroads Towne Center in Chandler; and Happy Valley Towne Center in north Phoenix.